A lot of people consider pool maintenance to be easy, although there are still some folks out there who haven’t a clue as to how it’s done. While the general idea about keeping it clean and relatively free of dirt, soil, algae, and floating stuff is elementary, some folks begin to flinch at the mention of chlorine levels, salinity and alkalinity factors, acidity range, calcification, and all of those other high-brow terms. 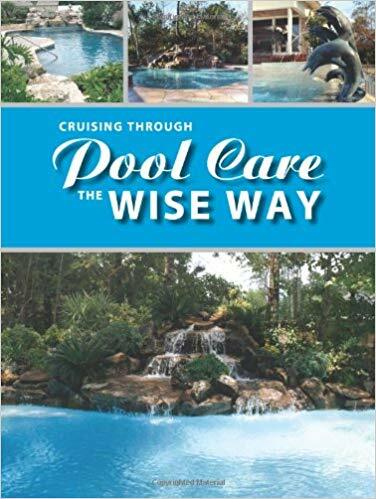 Pool maintenance for dummies strives to clarify the confusing so that even the most elementary of pool owners can have the pool of their dreams minus a headache. Read on. Checking the pool for any damages is a good way to start. Any tiles with cracks, missing pieces, or loose tiles don’t only look bad in a pool, but they can be very dangerous too. Immediate repairs or replacements are in order. Pool maintenance for dummies reminds the reader to drain the pool while replacing the tiles and to allow it to dry at least a full day before filling it up with water again. Be sure to match the tiles as you go. You may have some unused tiles somewhere in your garage from when the pool was still being made – use that. Make sure that algae don’t grow in the sides and floor of your swimming pool. Algae, for those not-so-nerdy types, are simple microorganisms that look kind of like plants. Algae grow in bodies of water which are often exposed to sunlight. As suggested by pool maintenance for dummies, algae should never be allowed to grow in your pool or you’ll end up with a fishpond instead. Aside from algae, never allow sand, dirt, and other solid matter to fall into the pool as it may clog or cloud the water. Hair and other nasty matter may clog the pool and just make it gross, so remember to clean that off too. To ensure that none of the nasties from step two thrive in your pool water, add some chlorine. The form or medium of adding chlorine depends entirely on you. If you have the money to spare, better opt for automated chlorinators as they’re the best choice. Chlorine acts as a barrier which prevents algae from forming and which sterilizes the water in the process. Remember not to use too much or you might irritate your skin and never ever ingest (that means swallow) chlorinated water! Every pool must have a filter which will enable it to catch dirt, hair, lint, and other stuff that may dirty your pool that you often overlook. Be sure to check up on this and make sure that it’s clear and clean to ensure that your pool doesn’t become clogged and turn into a total mess. Don’t forget that you’ll be swimming in it – and unless you want gators, you’d better not make it mucky. Lastly, as good pool maintenance for dummies protocol, make it a habit to regularly super-chlorinate your water at least a day before you take a dip in it, preferably during the nighttime while the folks are asleep. Super-chlorinating your pool involves using a high amount of chlorine – higher than what you’d normally use, to effectively remove dirt and buildup as well as to fully sanitize your pool. Drain your pool weekly too, and with a mild detergent, brush it down walls, floors, and all. Remember that the making of a great pool is a clean pool. Keeping a pool clean is relatively easy, yes? Skipping the fancy words and scientific babble, pool maintenance for dummies simplifies the tasks of keeping a pool. It isn’t all that difficult to understand. So let’s start cleaning!